There are three major premium payment options for clients of Ironbridge. 1. 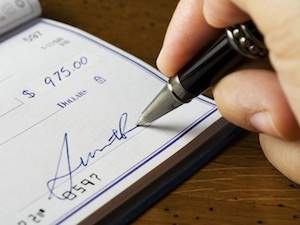 A payment in full via a check is the most common way our clients pay for a policy. 2. Many of our carriers offer a monthly or quarterly installment payment option, where the check is paid directly to the insurance company. 3. Ironbridge has also affiliated with Afco, a national insurance premium finance company that offers multiple installment payment options on most of our policies. When available, each of the above premium payments options always remains our client’s choice.